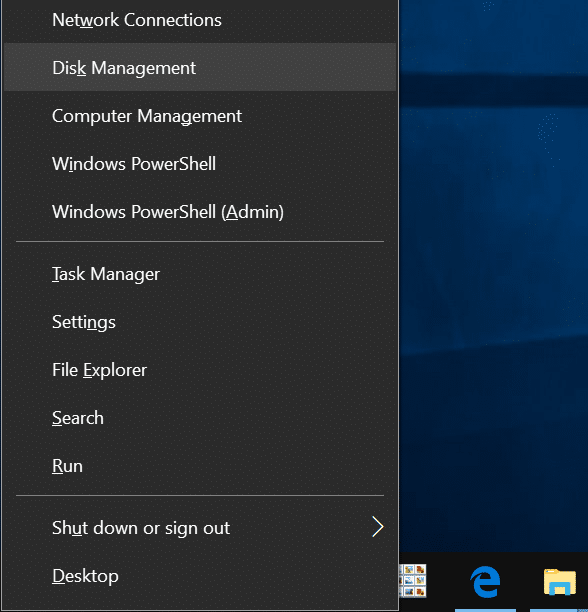 Do you want to partition your USB drive using the built-in Disk Management tool in Windows 10? 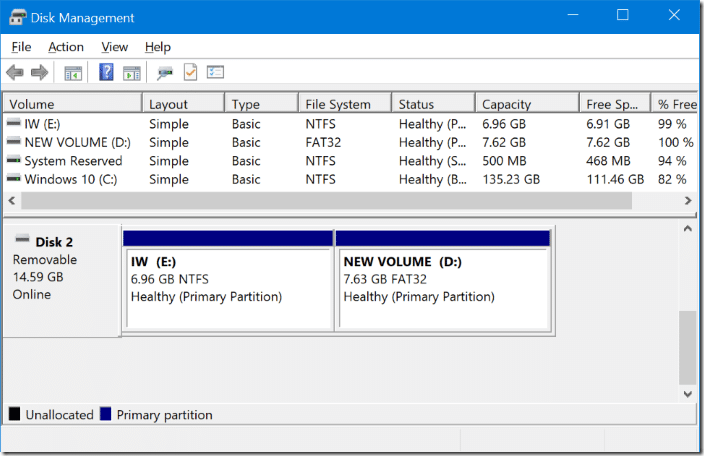 Want to create multiple partitions on a USB drive? 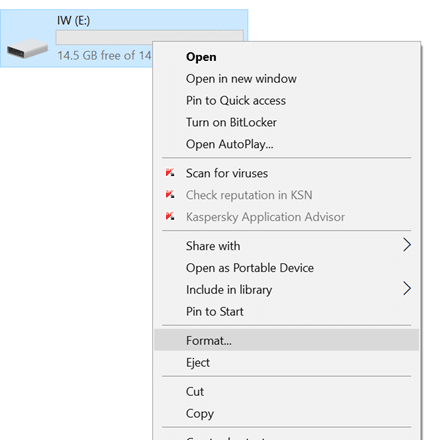 Here is how to partition a USB drive in Creators Update and above versions of Windows 10. 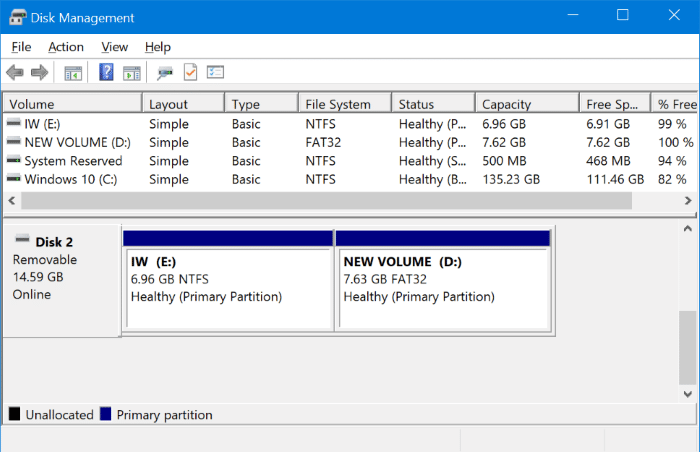 In Windows 10 Anniversary Update and earlier versions of Windows 10, Windows would not allow users to partition USB drives from Disk Management. 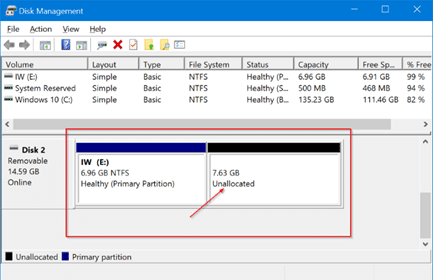 While it has always been possible to create multiple partitions on internal drives via Disk Management, partitioning USB drive was not possible. We had to either use the Command Prompt or third-party software to create additional partitions on a USB drive. 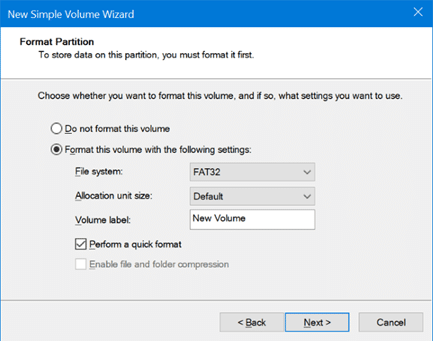 With Windows 10 Creators Update (v1703), Windows 10 allows users to partition USB drives. 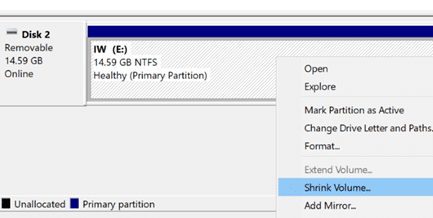 The only condition is that the USB drive must be formatted in NTFS to partition it. In this guide, we will see how to partition your USB drive in Windows 10 from Disk Management without using the Command Prompt or third-party software. IMPORTANT: Back up all data from the USB drive to another location before proceeding further to avoid data loss. 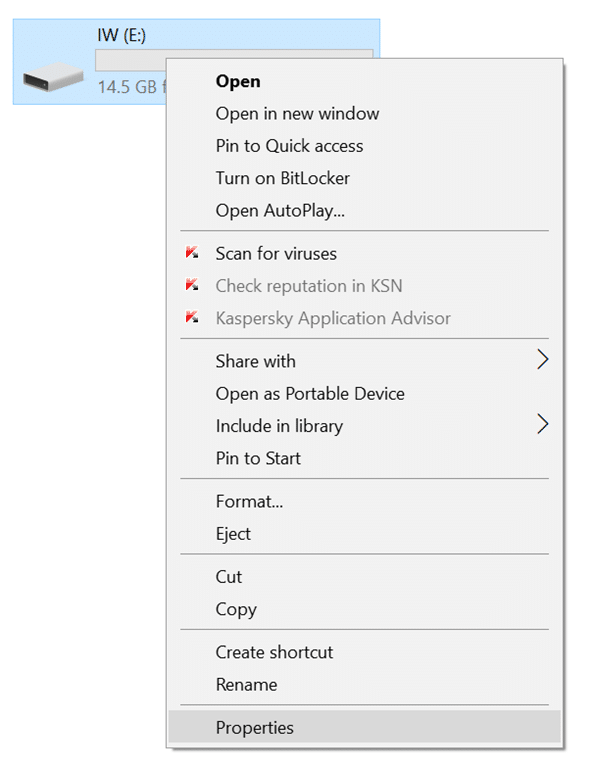 Step 1: First of all, connect your USB drive to a PC running Windows 10 Creators Update (v1703) or above version of Windows 10. Back up all data to another drive. Step 2: Open up This PC. Right-click on the USB drive which you want to partition and then click Properties. 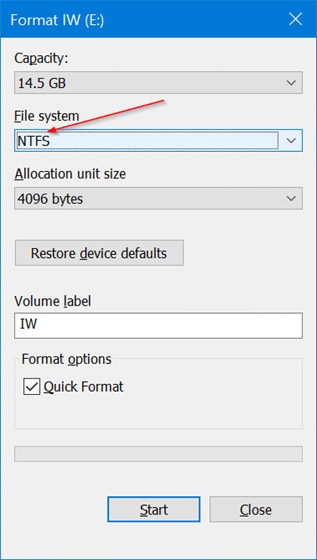 Check if the USB drive is formatted in NTFS. 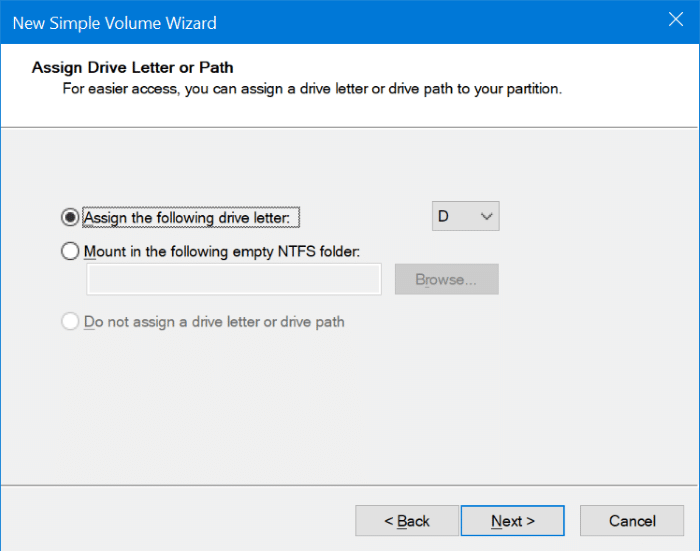 If yes, you should see NTFS next to File system as shown in the picture below. If the USB drive is formatted in FAT or FAT 32, right-click on the USB drive again (in This PC), click Format. 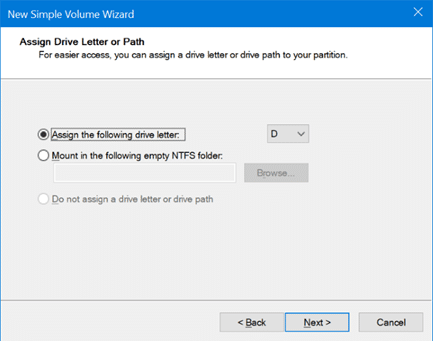 Choose NTFS from File System drop-down box and then click Start button. Click OK button when you see the warning dialog to format the USB drive in NTFS. Once done, you will see “Format complete” message. Step 3: Right-click on the Start button on the taskbar. Click Disk Management to open the same. 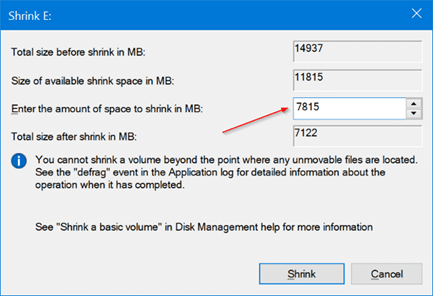 Step 4: In the Disk Management window, right-click on the USB drive and then click Shrink Volume option. 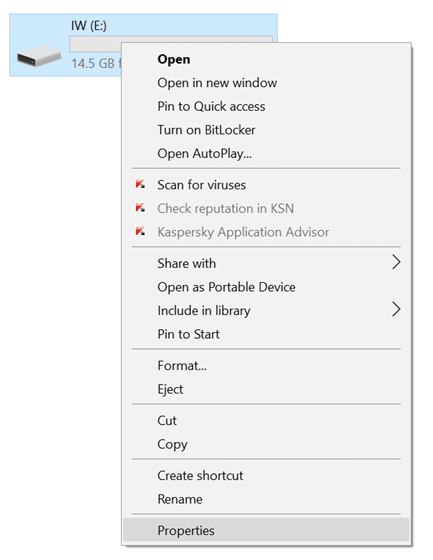 This action will open Shrink dialog. 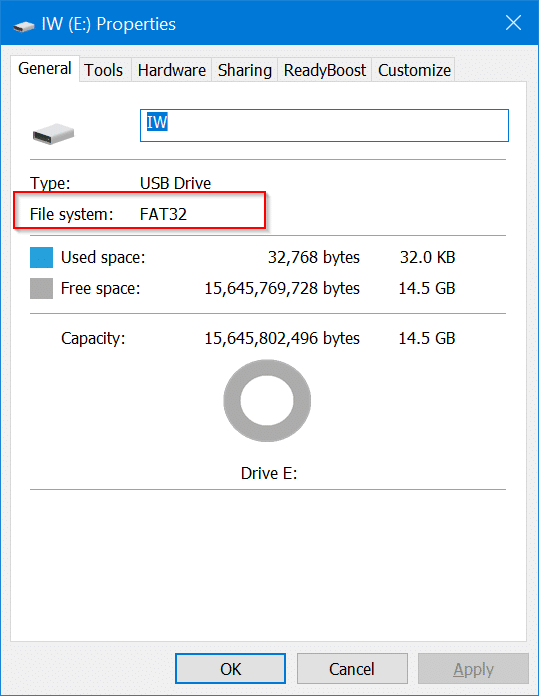 If the USB flash drive is formatted in FAT, the Shrink Volume option doesn’t appear. 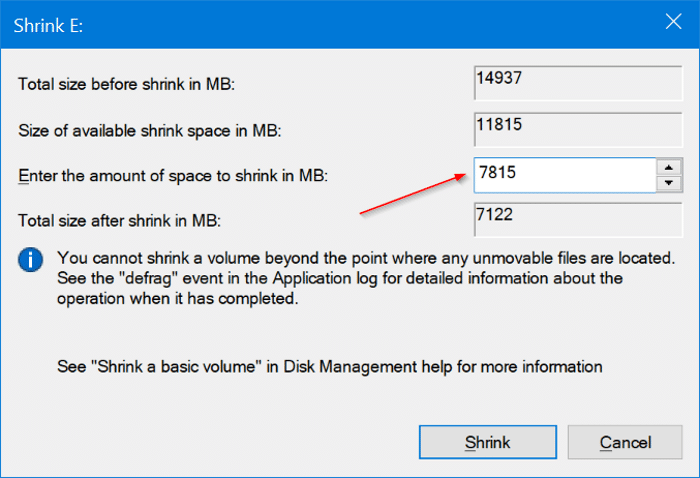 Step 5: In the “Enter the amount of space to shrink in MB” field, type in the amount in MB that you want to use for creating a new partition on the USB drive. For instance, on a 16 GB drive, if you want to create two partitions of about 8 GB, then shrink the drive by about 7000 MB. Click Shrink button. The action will create unallocated space on your USB drive. Step 6: Now, right-click on the newly created unallocated space on USB, and then click New Simple Volume option. Make sure that you are right-clicking on the unallocated space of USB drive only. 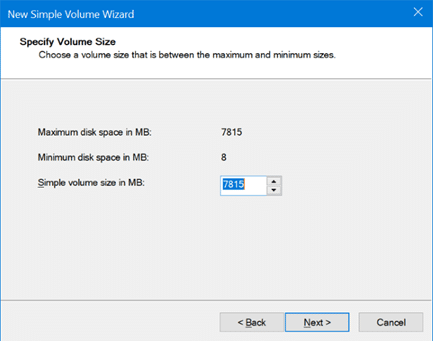 Step 7: Once New Simple Volume Wizard appears on screen, click Next button. 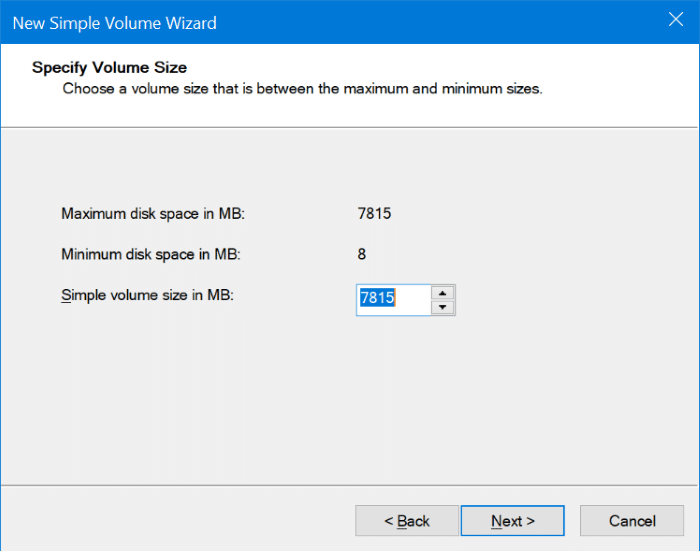 Step 8: In this step, you need to specify the size for the new volume or partition. 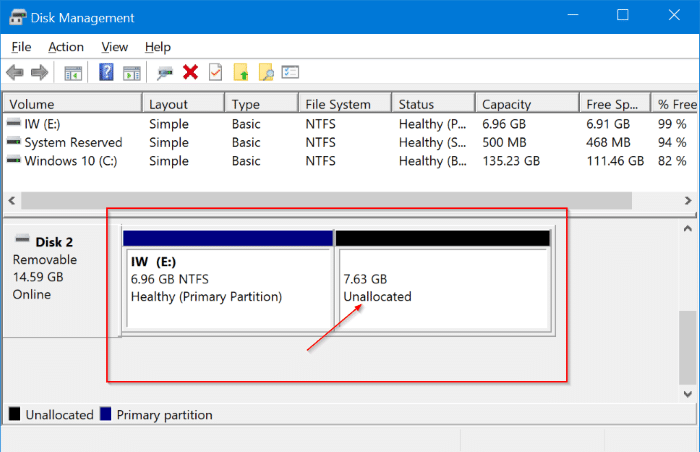 If you want to use all unallocated space to create a partition (two partitions on USB drive), go ahead and click Next button. 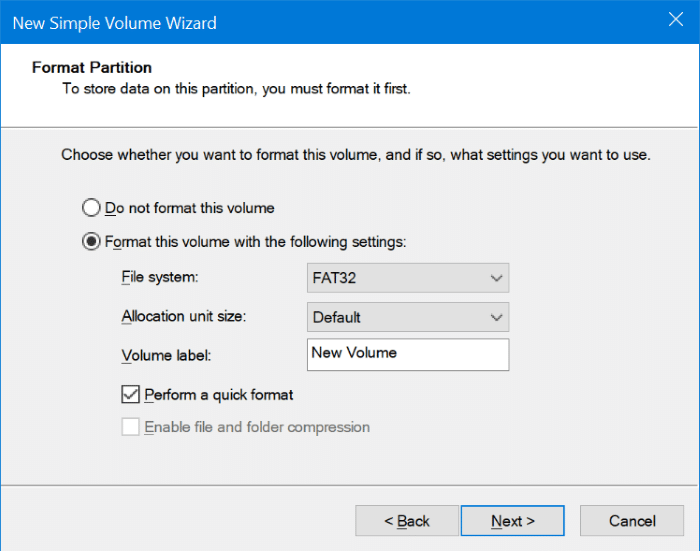 But if you want to create two or more partitions from the available unallocated space, reduce the Simple volume size. Step 9: Choose a drive letter for the new partition on the USB. Click Next button. Step 10: Finally, click Next button to create a new partition on the USB drive. Click Finish button to close the wizard. 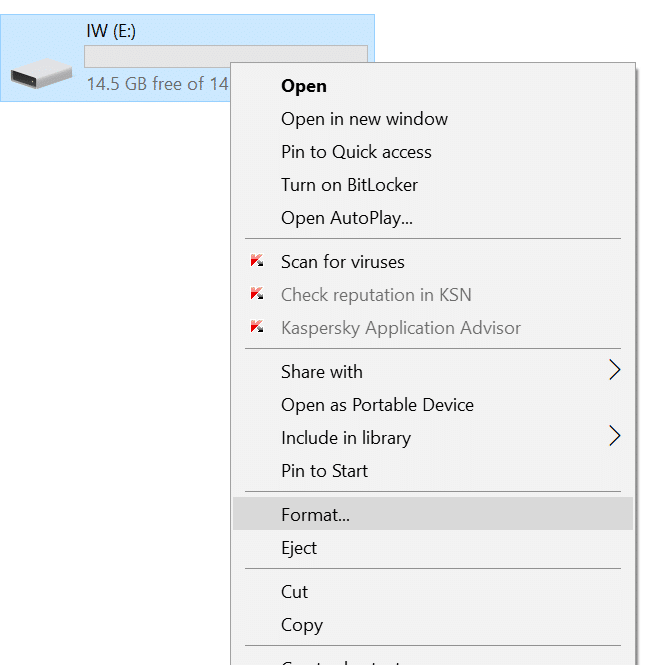 You should now see two partitions on USB drive in File Explorer as well as in Disk Management. IMPORTANT: This will erase all data on the USB drive. Please back up your data to another drive before deleting partitions. Step 1: Open up Disk Management. Step 2: Right-click on one of the partitions on the USB drive, and click Delete Volume to create unallocated space. Do this step for all partitions on the USB drive. Please make sure that the partition or volume you are deleting is on the USB drive, and there is no data on the USB. 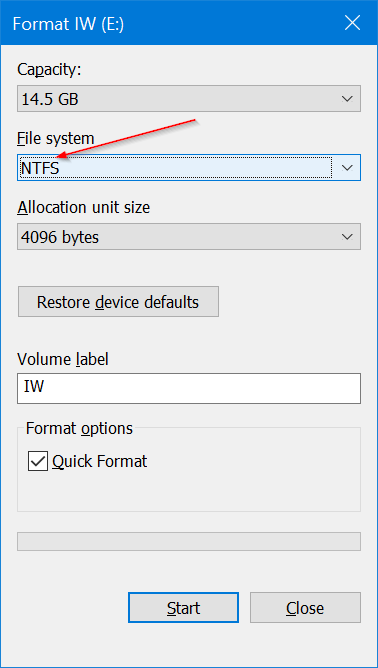 Step 3: Now, right-click on the unallocated space on the USB drive, click New Simple Volume, click Next, click Next again (don’t change Simple volume size), click Next once again, choose file system as NTFS and finally, click Next again. That’s it! 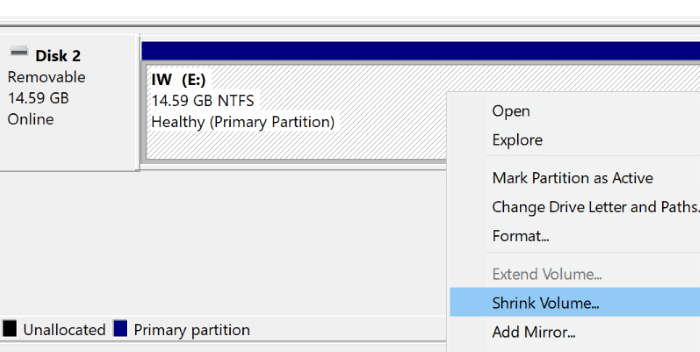 Also check out our how to shrink or extend partitions in Windows 10 guide.